Adorn your bungalow bedroom with our Mission Canyon Tall Dresser, a beauty in Arts & Crafts inspired styling. Make your selections from the menu below. 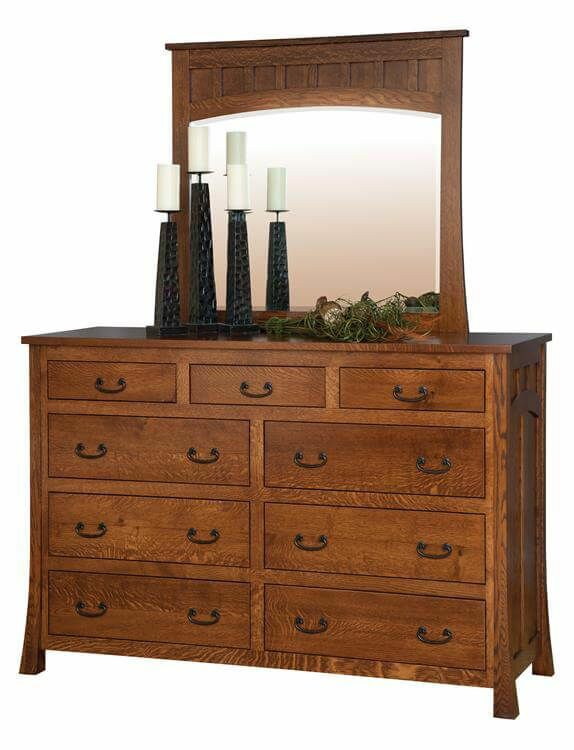 Handmade by our Amish craftsmen, the Mission Canyon Tall Dresser includes nine, flush-mounted drawers. Each drawer is affixed with dovetailed joinery and full-extension slides. These standard features safeguard the integrity and accessibility of your dresser drawers. Dovetailed joints, considered to be the most permanent in carpentry, ensure the integrity of your drawers while full-extension slides provide access to the items within. These additions are built to last and will provide effortless storage for years to come. If you elect to purchase the look shown, simply select Rustic Quartersawn White Oak with our Madison Ways hand-rubbed wood stain.